Royal Door has quality and affordable garage door accessories. Whether you’re looking for replacement parts, accessories, or openers, we can help make your life easier! Replacement Remotes: These come in handy whether your looking to replace a lost or broken remote, or looking to have an extra around. Remotes are also extremely convenient allowing you to open and close your door with the push of a button! Royal Door can help provide you with a universal or standard remote control. Contact Royal Door with any questions about standard and universal remotes to determine which might be the best option for your home or business! Keychain Remotes: Keychain remotes are very small remotes made for putting on your keychain. These can be very convenient for a ton of different reasons. In some cases you don't have room to carry around a bulky visor remote like on a motorcycle or bicycle. Another good use is if you park your car outside and don't want to risk someone breaking your window and getting in your house with the visor remote, just leave it on your keychain instead. The sleek design lets you fit it in your pocket with ease. Keypads: Royal Door offers a wide variety of garage door opener keypads so all of your different needs can be met. Keypads make it easy and convenient for you and your entire family to access your garage from outside your house. Our wireless keypads can open your garage door using a code that you, the home/business owner, can program directly into the unit. Contact us with any questions about standard and wireless keypads! Looking for information on our Garage Door Openers? 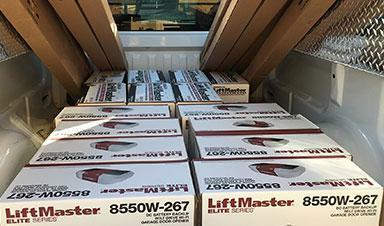 Click here to head to our Garage Door Openers page! 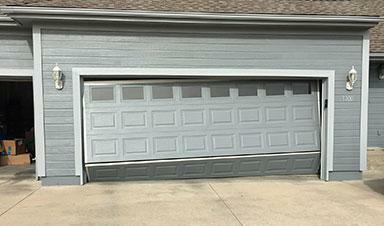 Our garage door systems, parts, and accessories ensure easy access to your garage. Check them out! Is your residential or commercial garage in disrepair and unable to open or close properly? Visit our repair page and fix your damages.